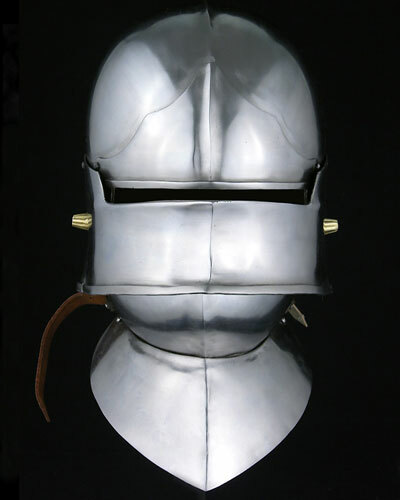 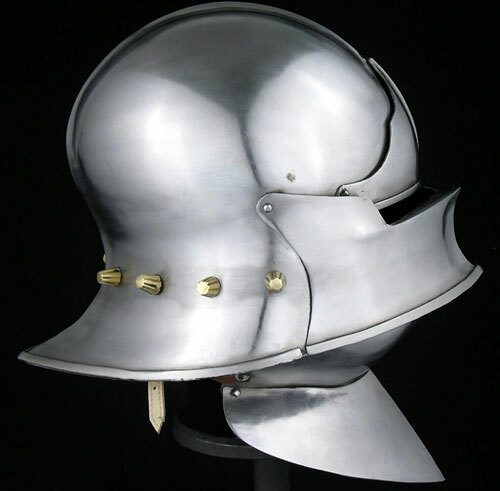 The sallet replaced the bascinet in northern Europe during the mid-15th century, and was popular through northern and western Europe from the late 1400's though early 1500's (when the sallet evolved into the burgonet). 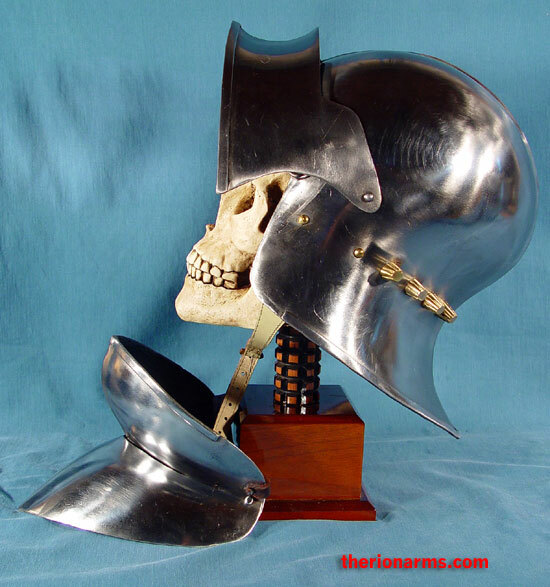 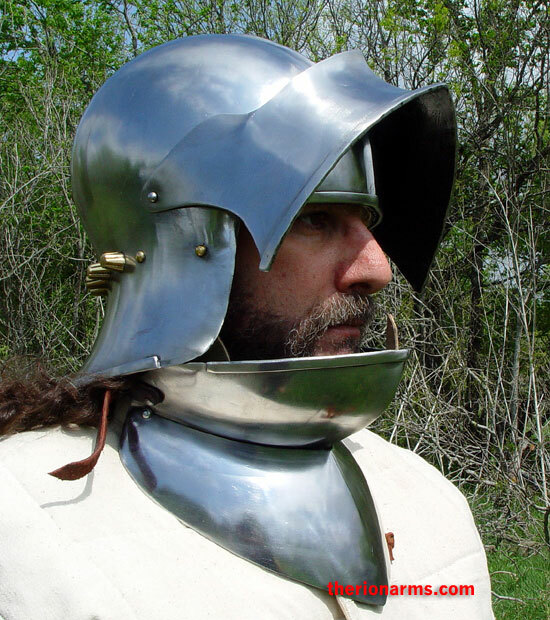 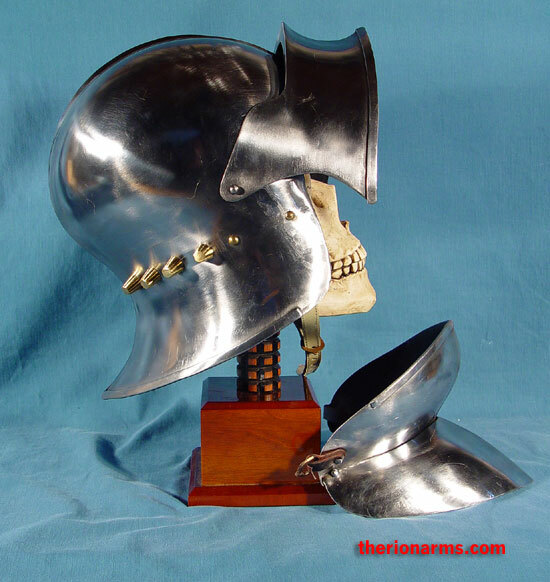 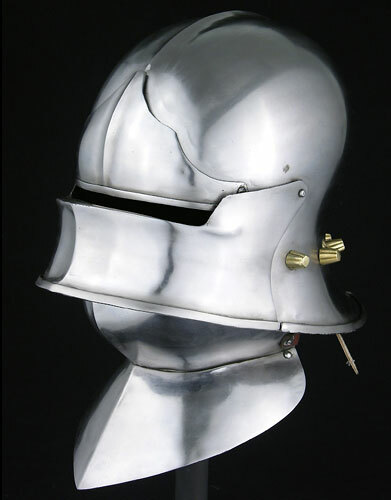 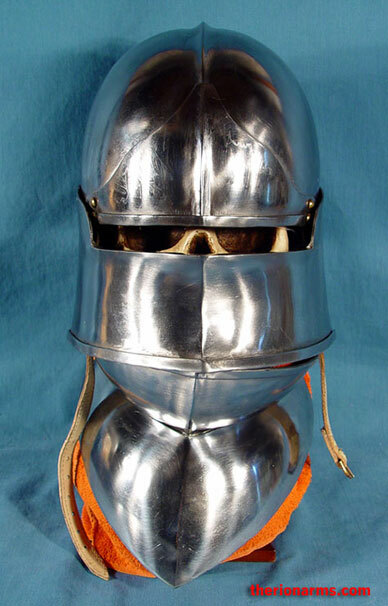 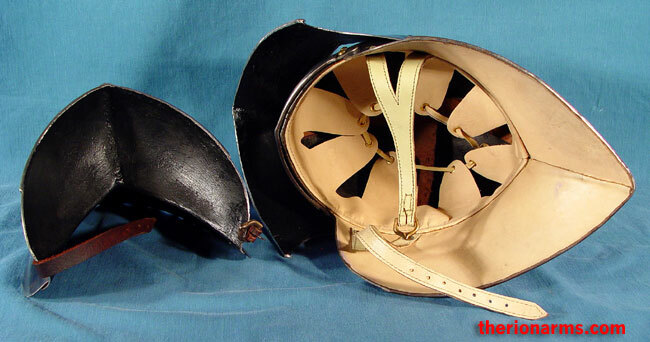 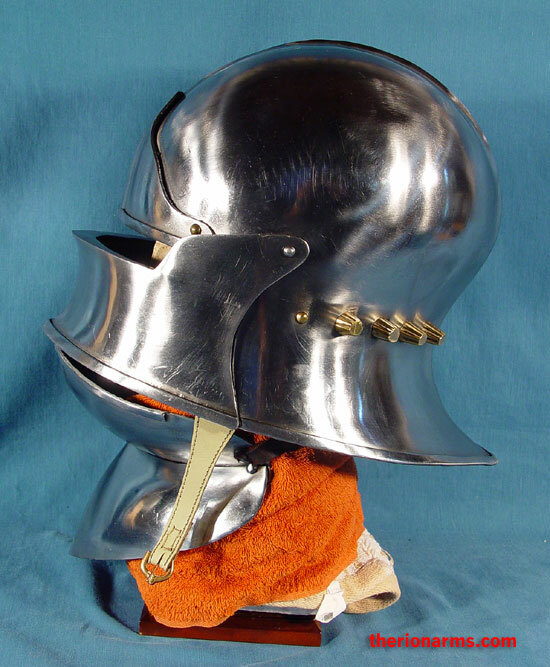 The bevor (chin and throat guard) is a separate piece - the sallet can be worn with or without the bevor. 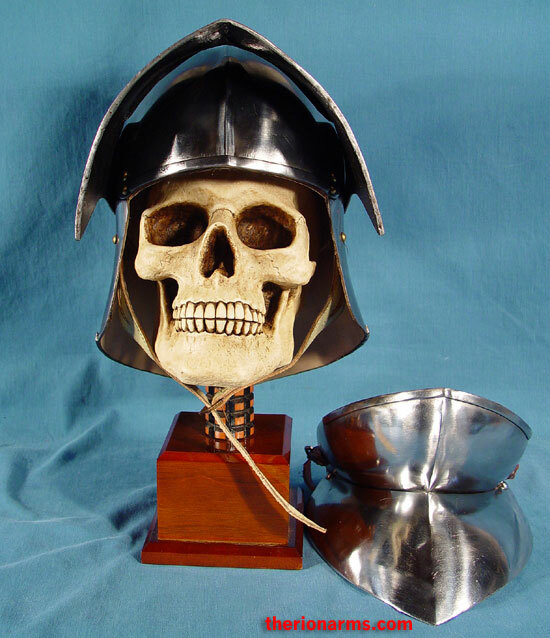 This example replicates an original found in the church at Witton-le-Wear in County Durham, England. 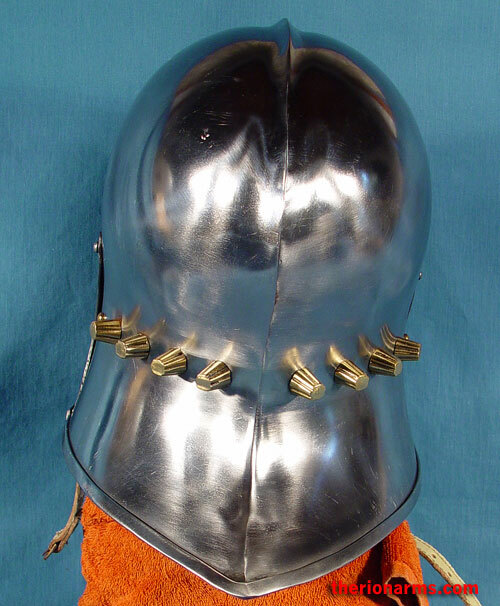 The large ornate rivets that attach the liner to the helm are an unusual feature, replacing the more commonly used dome-headed steel rivets. 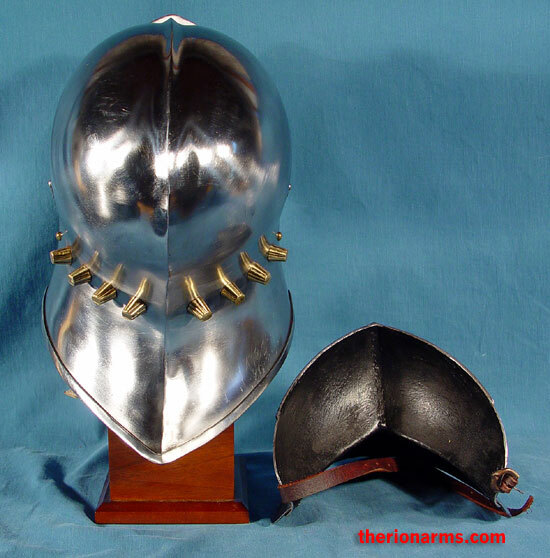 14 gauge satin-polished mild steel, hinged visor with ocularium, strapped bevor, adjustable leather liner and chinstrap. 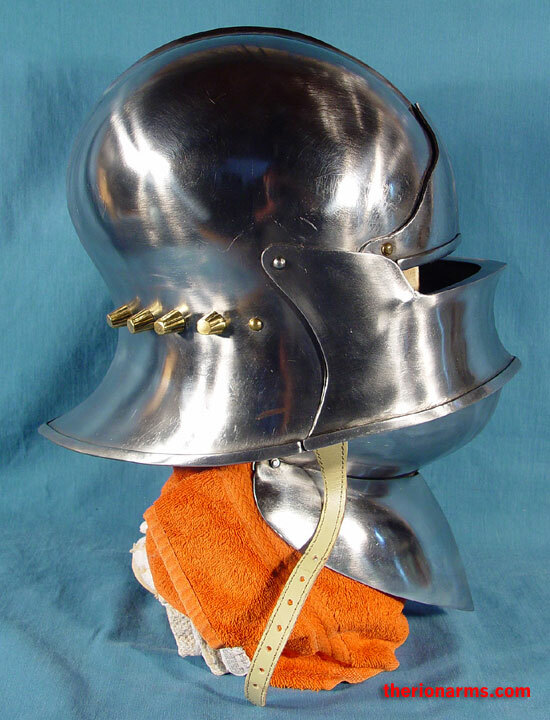 The helmet weighs ~7 lb 12.5 oz; the bevor weighs ~2 lb 0.0 oz. 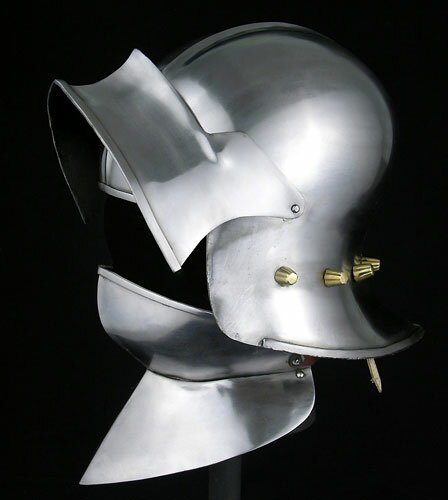 Made by Get Dressed For Battle.